Kimberly is a Certified Advanced Resonance Repatterning practitioner,Person-Centered Expressive Therapist and Wellness and Well-being Life Coach with an extensive background in holistic healing therapies, disciplines and modalities. Helping her clients understand, move through and transform limitations in a nurturing and conscious way is her goal in sessions. Through the process of Resonance Repatterning, clients are able to move on in their lives from patterns that have kept them stuck or blocked. Kimberly is an advocate for conscious change that effectively creates benefits in manifesting your goals through having more life energy to dedicate to your positive intentions. Kimberly brings empathy, compassion and expertise to her work with clients for a nourishing person-centered experience that is results-based. Sessions include holistic, expressive and energetic modalities to help clients move through difficulties toward a fuller sense of life potential, joy, empowerment, love, wellness and well-being. She works with clients in-person and non-locally by phone, Skype and proxy with individuals of all ages, couples, and groups. She offers demonstrations, lectures and experiential workshops. Sessions are tailored to the needs of the individual or group. She has worked with clients who are pre-verbal, non-verbal, and as a proxy when the client is in a coma or unable to take part in the session. This means that she can also work with animals. Read Testimonials here. Kimberly has designed programs and repatternings with a focus on wellness and well-being for individuals and groups including work with Friends Along the Road: A Sanctuary for Those in Grief and designed the program for the World Peace Hologram Project as Chair for the Repatterning Practitioners Association (2008-2010) with 48 practitioners around the world working with personal and global topics of peace, as well as being a planning adviser and author of the Peace Journal that accompanied this process. As an energetic healthcare practitioner, she works with the universal disciplines of the Chinese Medicine Wheel, Polarity Therapy, Jin Shin Jyutsu, the Chinese Five Element and Meridian and Chakra System, applied kinesiology, color, light, sound, and movement therapy, aromatherapy, flower essences, energetic balancing, consciousness science, Heart Math, shamanism, and Family Systems. She is also certified in the forms of teaching Ling Gui Qigong and Tai Chi for Rehabilitation. In this time of planetary awakening, she continues to offer teleconference group repatternings focusing on the Eight Millennium Goals, earth and global change through her community newsletter offerings. Participants are invited to submit statements relating to intentions and issues for personal benefit. This helps to create a ripple effect for positive change from the personal to global level. Kimberly designs repatternings for focus groups dealing with issues of grief, abuse, prosperity, visioning, wellness and well-being. She has worked with radio, television, ecology and focus group organizations with the visioning and manifestation process for enhancing and developing programs. As a speaker, she has been a guest on a number of holistic and wellness radio and TV shows. She has offered talks through Holistic local and online events. She has presented locally, nationally and internationally in-person and by teleconference on the topics of stress reduction, consciousness science, how to experience inner peace, and greater wellness and well-being. She has been published on wellness blogs including Care2.com, The Organic Home and Wellness Radio, and is a published author in The Journey Home , as well as in eBooks that accompany online workshops. She has also been on several radio and TV shows including Consciousness TV with the topics of positive change and consciousness science. She has continued her studies of related modalities in the areas of Medical Qi Gong, Homeopathy, Aromatherapy and Herbalism with certificates of mastery in each of these fields. She is qualified as a Soluna Health practitioner who offers these spagyric homeopathic remedies to her clients as an option for creating internal harmony and balance. She is also a Special Education Consultant, therapist and teacher who has worked from pre-K through high school levels with physical, emotional,mental and spirit level challenges. Her experience spans over two decades in her work with families and children. She has offered local and university level trainings for teachers, counselors, families and practitioners on subjects to empower greater awareness, wellness and well-being for family and Special Education issues. As an expressive artist who enjoys painting and working with themes of nature and spiritual connection through watercolor, silk paintings and ink and has painted Life Purpose paintings for clients, as well in working with expressive modalities in sessions. 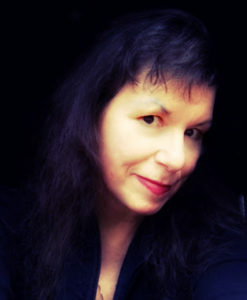 She writes poetry that also has themes inspired by nature, peace, and spiritual connection. View her artwork at www.cafepress.com/kimberlyrex and www.zazzle.com/kimberlyrex/.